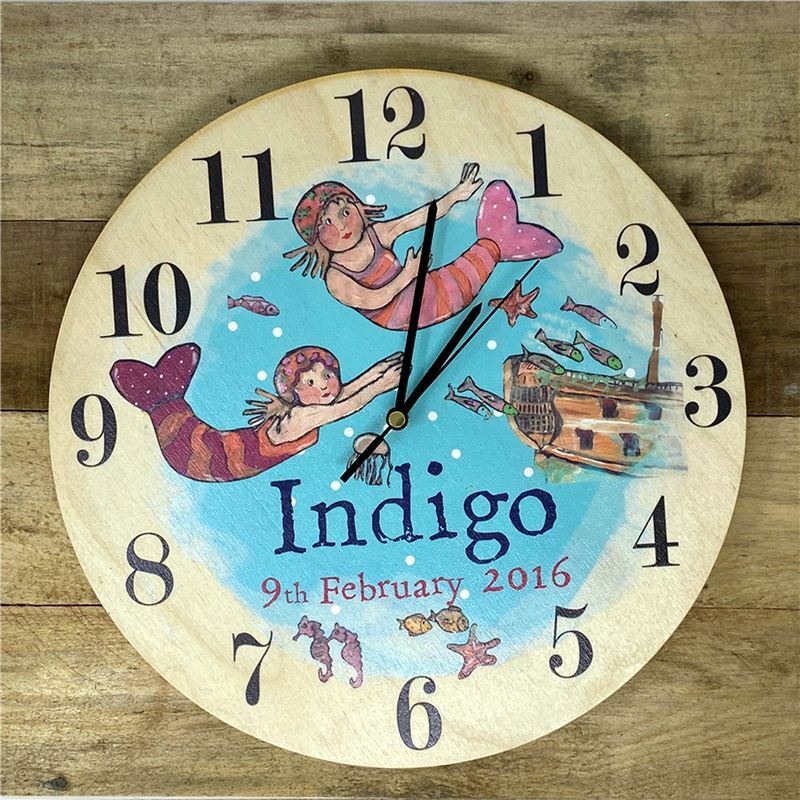 A delightful personalised Mermaid clock makes a wonderful present for a birthday or christening gift. Made from birch and approx 30cm in diameter. Designed by Mari Lois at Angelic Hen.